Thomas commissioned me to create a vintage inspired engagement ring for Janelle. 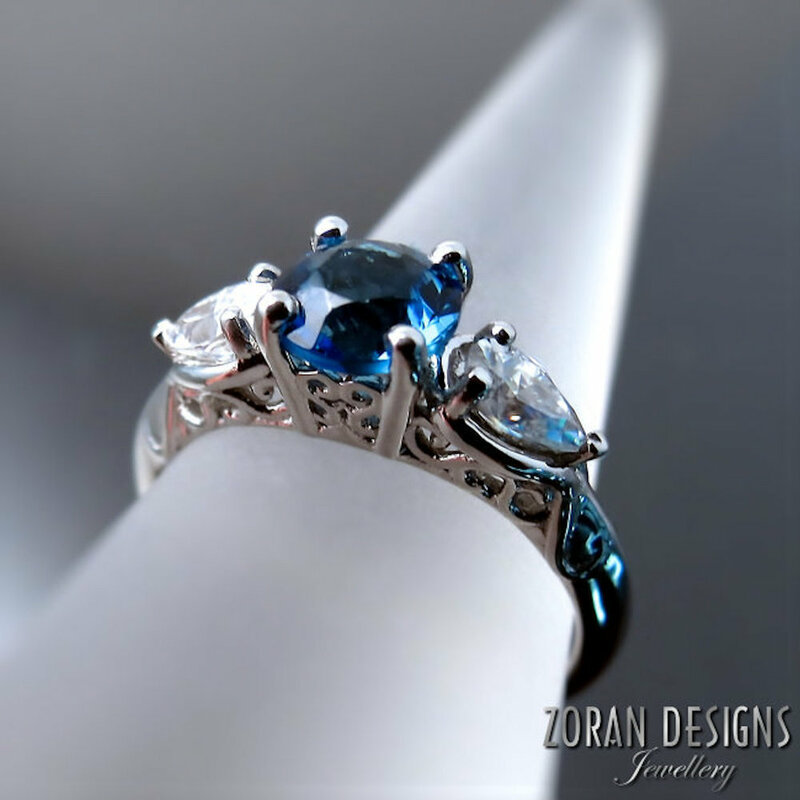 His desired specifications were for a blue sapphire centre flanked by pear accents in platinum. Then he told me he would supply the sapphire… one that he was (at the time) still cutting and polishing! Well that was something! This would be my first custom ring set with a stone personally cut and polished by the client. Thomas’ uncle had been sourcing rough and cutting stones for many years. With his help, Thomas completed the beautiful gem you see here. Before seeing the stone, I was concerned that it would not be properly cut as Thomas was a novice but he did an impressive job. Next up was the ring where the focus would be an ornate gallery reminiscent of antique jewellery designs. 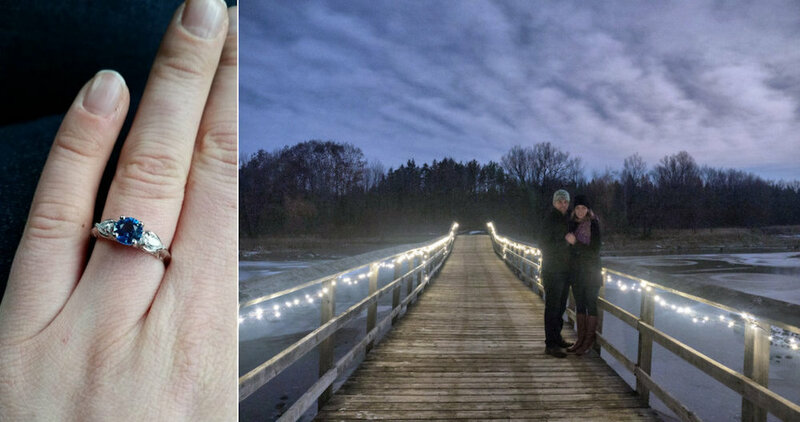 Final step: the proposal, into which Thomas put the same thoughtfulness and care as he did for the ring and which involved lighting up a wooden bridge in the wilderness (Janelle is a very lucky girl)! I am so very delighted to have been a part of this incredibly romantic proposal. Congratulations to a lovely Hamilton couple!